How Do I Deal with Group Members who Gossip? A couple of guys in our small group in California would wonder out to the sidewalk after the meeting each week to smoke. They would just hang around in front of our house and talk. The other guys in the group were a little jealous of their fellowship and considered taking up the habit themselves. I replied, “Yes, it’s terrible. I wish they wouldn’t smoke. But, I’ve heard that some groups are full of gossips.” Okay, I actually didn’t say that, but I wish I had. Gossip is a small group killer. There is nothing more fatal to a small group than gossip. It is the deadliest sin in group life. The Bible teaches that “a gossip separates close friends” (Proverbs 16:28) and “a gossip betrays a confidence; so avoid anyone who talks too much” (Proverbs 20:19). The Apostle Paul includes gossip on the sin lists in Romans 1 and 2 Corinthians 12 along with murder, envy, strife, jealousy, rage and deceit. Gossip is serious business. So, what do you do when it shows up in your group? Even though your group is filled with wonderful people, the first place to deal with gossip is on the first day of the group. As your group talks about their group values, you should formulate a group agreement. These are simply the things the entire group agrees to. This can include when and where the group meets, the frequency of meetings, childcare, etc. 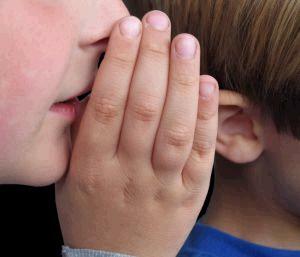 A key value for your group is confidentiality. What is said in the group needs to stay in the group. Period. Your group should be declared “Las Vegas.” Nothing in the group – comment, prayer request, joke or off-the-cuff remark – should be repeated outside of the group. Sometimes the rules get blurry. Let’s say a group member requests prayer for a mutual friend, let’s call her Jane, who is not in the group. Jane is having some tests for a serious health problem. One day you bump into Jane’s husband and tell him that you are praying for Jane and her health issues. The problem is that Jane hasn’t said anything to her husband. She was afraid that the news would affect his heart condition, so she didn’t want to worry him unnecessarily. (This is a fictitious story. I am not telling tales out of school here). Now, you get the picture. Gossip, as benign as it might seem, is a missile that will sink the whole ship. Who would ever share another prayer request or personal issue in front of someone they feel that they can’t trust? If the group lacks trust, relationships are broken down. There is no more group. Confidentiality is the foundation of group life. Creating a small group agreement and reviewing it periodically will help to insure trust in the group. 2. Even Gossip in the Group About Others is Dangerous. Gossip shuts down trust. Even if the gossip is about someone outside of the group, it certainly makes the group wonder what this person says about them behind their backs. Gossip of any kind will diminish trust in the group. If the group lacks trust, then the members will not open up. The leader should redirect the gossiping member with “Let’s keep our discussion to those present in the group.” Then, take the member aside and personally talk to them about gossiping and the harm it can bring to a group. What is gossip? Well, the rule of thumb is that if the person you are talking to is not part of the problem or part of the solution, then it’s gossip. If something about your group is told outside of the group, deal with it as soon as you are aware of an incident of gossip. Don’t interview every member of the group. The offended person should go directly to the offender. As Ross Perot once said, “If you see a snake, kill it. Don’t appoint a committee on snakes.” As Jesus said, “If your brother or sister sins, go and point out their fault, just between the two of you” (Matthew 18:15). If the offended person isn’t willing, then you as the group leader must step in. The first step is to pray and ask God for wisdom. Ask Him to prepare the way and to work on the offender in advance. If you’re eager to confront the offender, then you should probably pray some more. If you’re reluctant to confront, then you’re probably in the right place. If they admit to the gossip, then they should be given an opportunity to confess to the group. If they don’t admit it, then you must take the next step and bring a person with you who either heard the gossip or is somehow involved in the incident (Matthew 18:16). If the person did gossip, but won’t admit to it, more than likely, he will stop coming to the group on his own. Most people are not so callus as to offend the group, lie about it, and then continue participating in the group. But, don’t be surprised. 4. Bring the Issue Before the Group. If the person is repentant, then give him an opportunity to confess to the group and seek their forgiveness. The best scenario is that the group will forgive and everyone will be reconciled. This is ideal. But, it may take time for the group to trust the person again. Reconciliation isn’t necessarily automatic with forgiveness. Over time, as the group bears with one another, they will be able to trust each other again. If the person won’t admit their fault, then the gossip must be addressed in the group in the person’s presence. This shouldn’t be presented in an accusatory way, but simply stated: “Someone in the group broke the group’s confidentiality by saying _______ outside of the group. What do you know about this? How did this affect the group?” The offender might come to repentance in the meeting. If the group is certain about who committed the offense, then the last resort is to ask the offender to leave the group. Jesus taught us, “If they still refuse to listen, tell it to the church; and if they refuse to listen even to the church, treat them as you would a pagan or a tax collector” (Matthew 18:17). In this case the “church” is the group. The question is how should believers treat “pagans and tax collectors”? As with anyone who is not in relationship with God, believers should love them, even if they’re an enemy (Matthew 5:44) and challenge them with the need for repentance. When the person repents, then the process of reconciliation should begin. Few other issues are as harmful as gossip in a small group. But, if the leader deals with the issue quickly, chances are the group will remain strong. If the issue is not dealt with, it won’t go away. In fact, it will become a greater problem. Gossip is not just a bad habit, it is a prideful sin. The gossip is pleased to divulge information that other people don’t have. It makes them feel powerful. As a group leader, the issue becomes how to serve a person who needs gossip to make them feel significant. What are they lacking? What are they misunderstanding about their relationship with Christ?